San Shou is a martial art which was originally developed by the Chinese military based upon intense study of various traditional methods and combined with modern advanced in sports medicine and training methodology. 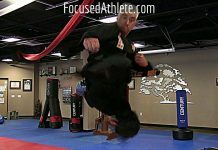 San Shou is practiced as a combat sport, meaning that training is conducted with safety equipment and competitions are conducted under rules restricting certain tactics and techniques designed for the safety of the participants. However, San Shou is also a compete martial art that teaches striking, kicking, leg kicks, kick catches, sweeps, takedowns and throws. 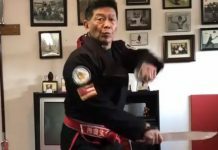 The current sport of San Shou does not include elbow and knee strikes but most San Shou gyms teach these techniques as well. The San Shou philosophy is that participation in combat sports is the best road not only to health, fitness and well being but to practical self-defense skills as well. To better understand what this means, the student should know something about the history of San Shou, how and why it was created. In 1924, the Guomindang (Chinese Nationalist Party) established the Whampoa Military Academy in Guangdong (Canton) province, Southern China in order to train the party’s leadership and create a modern military force. Having formed a strategic alliance with the Soviet Union in January 1923, the academy utilized Soviet methods of establishing party discipline, political indoctrination and training of military personnel. As Dr. Sun Yat-Sen, leader of the Guomindang said in 1923 “Since we wish to learn their (the Soviet Union’s) methods, I have asked (Soviet advisor) Mr. (Michael) Borodin to be director of training of our Party.” More Soviet advisors arrived in China in 1924, particularly to assist in military training. Of course, the military training is what is of significance to San Shou. During the Russo-Japanese War (1904-1905), Russian forces had experienced heavy losses in close quarters combat with the Japanese. 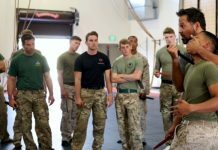 As a result of these losses, several movements sprung up in Russia concerned with developing better methods of training the military for close quarters combat (CQC). These movements were later unified and the project made official under the leadership of the Communist Party of the Soviet Union (CPSU) upon their assumption of power in 1917. The result of this project is what is today known as Sambo. While Sambo was designed to prepare Soviet military and national security forces for real CQC including the use of and defense against bladed weapons and firearms, its creators also felt that a sport form which could be safely practiced on a regular basis was an essential part of the program. Why was a sporting adaptation considered essential to the training? The ability to use your methods in a real situation is dependent upon a number of factors. First, one must have the tools, offensive and defensive, to get the job done. This is the importance of offering a complete training program under the guidance of a skilled coach. However, the rest of the variables are less obvious but no less important. Does one have the ability to use these techniques upon an opponent who is knowledgeable of the techniques, resisting them and also attempting to launch their own attack? This requires not only perfecting the technique but developing your sense of space and range, the ability to see openings, reaction time and personal strategy. Include into this equation the possibility that the opponent may be using techniques and strategies different than your own. Furthermore, does one have both the physical and mental condition to engage in a struggle such as this? Does one have the strength, endurance, flexibility? The determination? Will they fall apart under the stress and adrenaline rush, freeze and forget everything they have learned? It has certainly happened in the past to many practitioners. Remember, if you have not been hit or thrown full power (slamming into the ground) you don’ know how you will react to conditions such as these. A boxer has been punched so many times that he no longer freezes when a blow connects. A wrestler or Judo fighter has been thrown to the ground many times and is accustomed to it. These three individuals are also used to exchange, working with an opponent who is both defending and attacking. They are also used to performing under high stress conditions, with large audiences and for extended periods of time. They benefit from experience gained by competition, i.e. sporting adaptations of what were once strictly combat/self-defense methods. 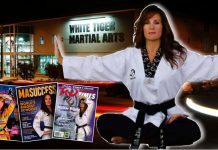 Thus, combat sports allow the student to develop the “attributes” of a warrior, including the appropriate mental attitude, “ruthlessness”. In establishing a sport version of San Shou, which could be practiced in relative safety on the frequent basis necessary for the development of the basic skills and attributes, the decision was made to use a kickboxing like format. Whether you are verbally harassed, a strike or kick is thrown, you are grabbed or threatened with a weapon, most self-defense situations are initiated while you are standing. Furthermore, being on the ground for any length of time is not advisable both because you are more vulnerable to attack and because the surface itself may present numerous dangers. 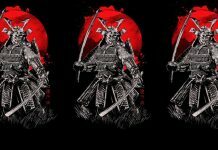 For these reasons, you should always concentrate on remaining standing and the primary course of study in San Shou addresses the essential elements of a standing fight. Sport San Shou utilizes striking, kicking and wrestling but not “submission” (“Na”) and/or ground grappling. Originally, elbows and knees were utilized in inter-military San Shou competition but they have been removed from the international sport version which was established in 1991 with the first world championships. In 1997, the first attempts were made both in China and in the United States to establish professional San Shou matches conducted in a manner similar to other kickboxing styles such as Muay Thai. Matches are conducted without the protective gear (without headgear, shin guards and the chest protector) and are held in a boxing ring. 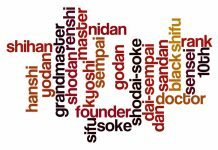 The Chinese often refer to professional San Shou as “San Da” an older term which was originally used to describe full contact fighting. Professional San Shou/San Da has grown incredibly over the years and professional San Shou fighters have fought successfully in the K-1 kickboxing promotion and in the Japan Shootboxing Association (JSA).